It’s hard to find any marketer or business not using the concept of inbound marketing. It’s elevated itself to become more than a trend—it’s almost become the more accepted way of marketing to consumers in this era. 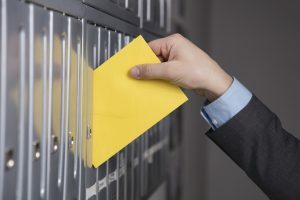 Yet on its own, inbound marketing still falls short of completely connecting to targets, which is why it should be paired with another form of marketing like direct mail. Before we move on to show how inbound marketing and direct mail marketing can be utilized together, it’s important to clarify precisely what we mean by inbound marketing. What inbound marketing actually entails is creating content with the goal of building trust and offering value for your consumer without pushing any product. An easy example of this is a company blog, which may write about topics related to its industry but not outwardly promote any product. It’s a passive form of marketing that counts on the fact that the business is offering value to a consumer, and that the consumer will eventually buy into the brand of the company and begin to purchase products or services. It’s certainly a long-winded approach, but one that has been deemed necessary in this era where intrusive marketing is looked upon as taboo. Trust is the main objective with inbound marketing, and establishing that trust takes consistent content, patience, and a long-term strategy for eventually securing leads through some kind of cohesive system. Inbound marketing has its supporters and critics. Some praise it for its subtlety, while others say that it is ineffective in actually selling products. We argue that if done on its own, then maybe the criticism of ineffectiveness would be more valid. But when you pair inbound tactics with more traditional marketing strategies that involve direct mail marketing, then both become more powerful and do more to engage consumers and increase sales. If you’re a savvy marketer, you should recognize by now that just relying on one form of marketing is simply not going to get you the results you need to be successful. You need a strategy that encompasses all levels of marketing, from digital to traditional channels, in a manner that is organized and streamlined across all platforms. All marketing needs to be focused on building trust with the consumer, but some content can be more obvious in its intent to sell than others. While inbound marketing can be used as an initial draw, there’s nothing stopping you from taking the consumer one step further. Ask them if they’d like to be part of your mailing list at the end of your content; if they say yes, this gives you a more direct line of communication. It’s through these direct mail pieces that you can now mail your clients offers that you think would excite them and get them more interested in your brand. The system can work the other way as well. The direct mail piece can pique the consumer’s interest and lead them to your site. There, you can continue to build trust with posted content building a rapport with the consumer without overtly selling any product. Once a consumer feels engaged and feels they can trust your brand, then they will presumably begin to make purchases. All of this takes work. It takes knowing how to build and execute campaigns to a targeted selection of leads. Macromark has the experience to really push the envelope when it comes to utilizing direct mail to move consumers to action. Trust us to orchestrate your next direct mail marketing campaign and make it work with your other marketing platforms.